Quickly infuse loose or bagged teas with 360˚motion. Rolling the infusion ball with a simple wrist motion agitates and tumbles the tea inside the ball for an even & quick infusion process. Quickly infuse Loose or bagged teas with 360˚motion. Rolling the infusion ball with a simple wrist motion agitates and tumbles the tea inside the ball for an even & quick infusion process. Dipping or hanging tea without motion slowly infuses into a small concentrated area. Rolling the infusion ball covers a 360˚ area while forcing water through the ball and tumbling the tea around inside. Provides a secure grip & helps to prevent slips & spills. Accommodates large or small hand sizes & the lower curve in handle cradles fingers for added support. Place bagged teas directly into the ball or insert the included screen for loose teas. Made from high quality stainless steel. For stronger brews leave the ball inside the glass. 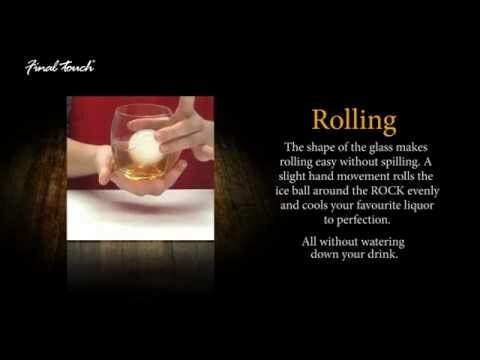 The glass shape will hold the ball in place while sipping. The included stainless steel tongs allow for safe & sanitary transfer to-and-from the glass.